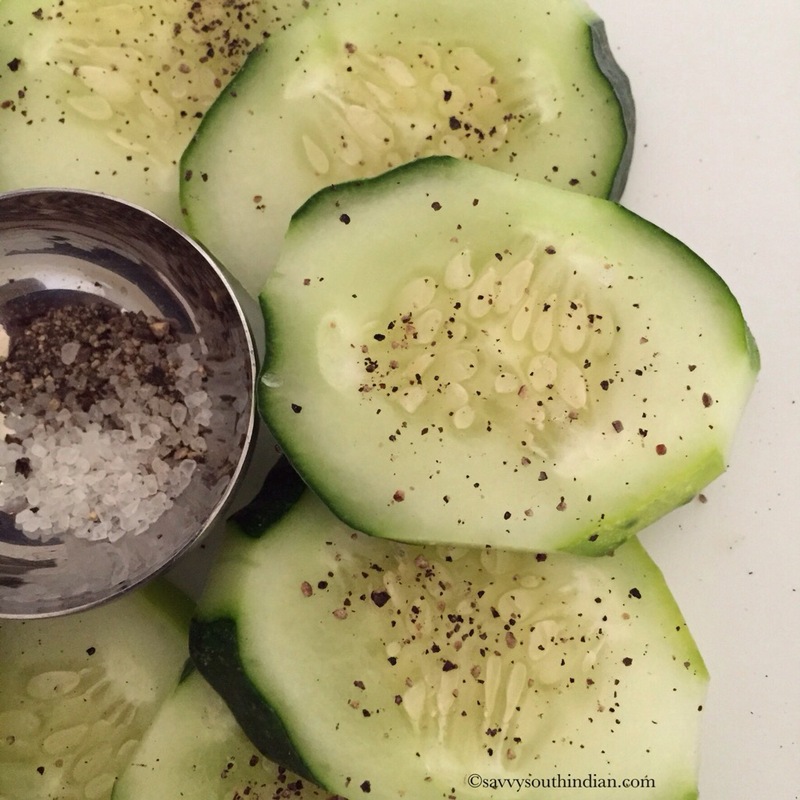 Salt and Pepper is the base for all the food we eat. They are considered the King and Queen of seasonings. We always associate them with savory foods. But do you know? 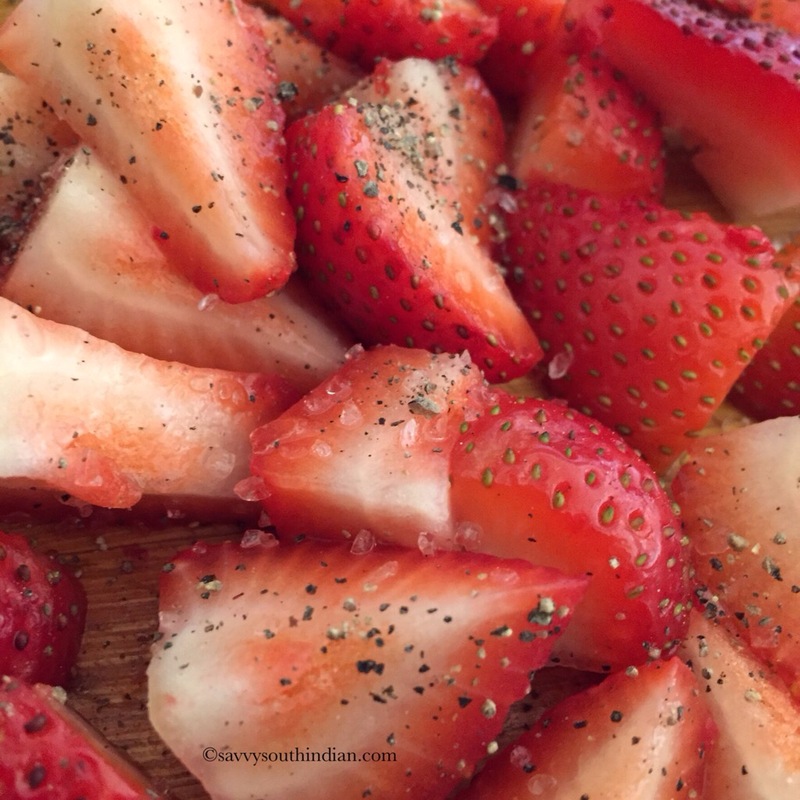 Just a sprinkle of salt and pepper makes fresh fruits and veggies taste better! Salt and Pepper are like soul mates, always found together on table tops. Salt and pepper shakers are always bought as a set, people adore them and collect them. Couples even put their favorite salt and pepper shaker as their wedding cake topper. 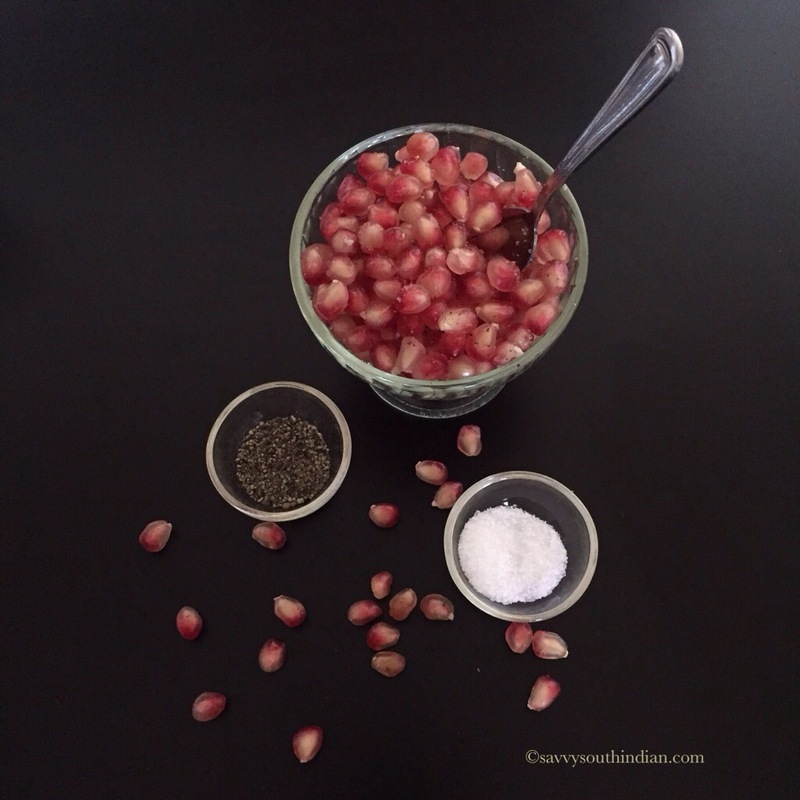 Pomegranate is an amazing fruit. Fall is the best season to enjoy them, you get them in abundance in November, right in time for Thanks Giving. So let me start with that first…. 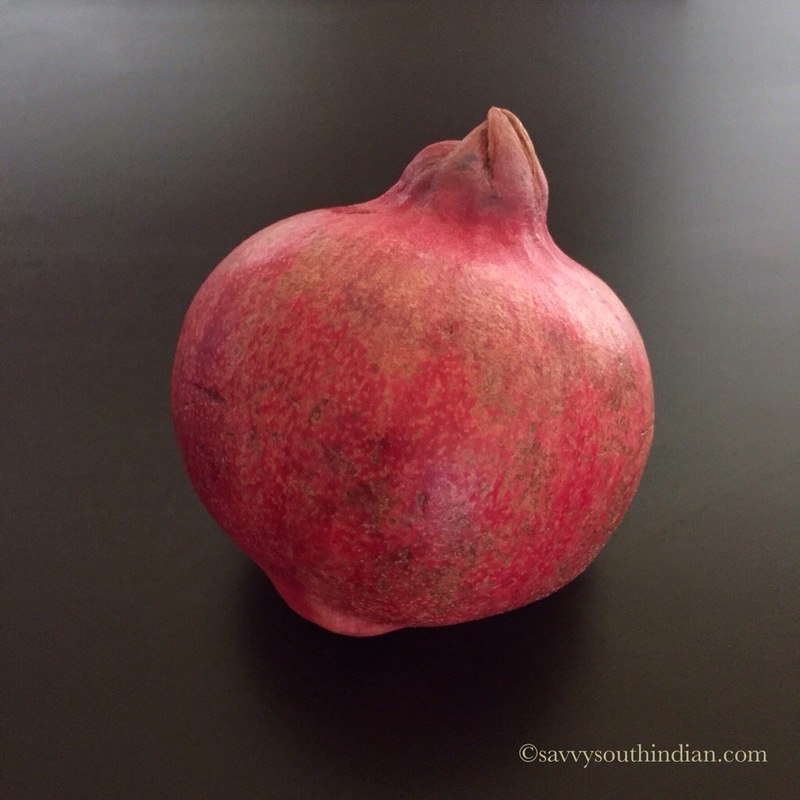 When you buy pomegranates make sure they are nice and red with no blemishes, dents or soft spots. 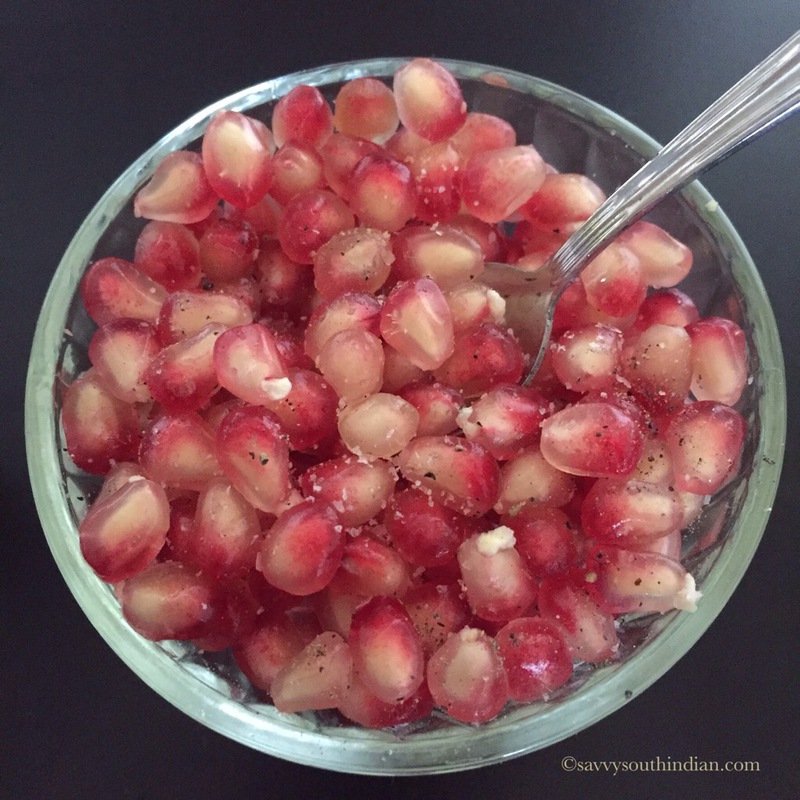 A good pomegranate has really plump red juicy seeds. This means it’s ripe and sweet and not tart. 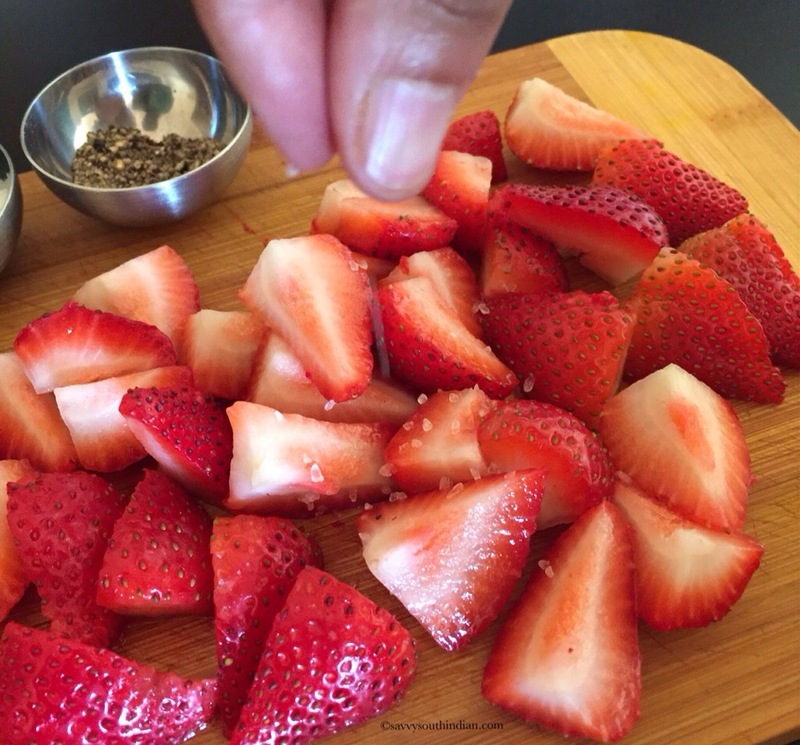 You will be in awe how divine it tastes with a tiny sprinkle of salt and freshly ground black pepper. 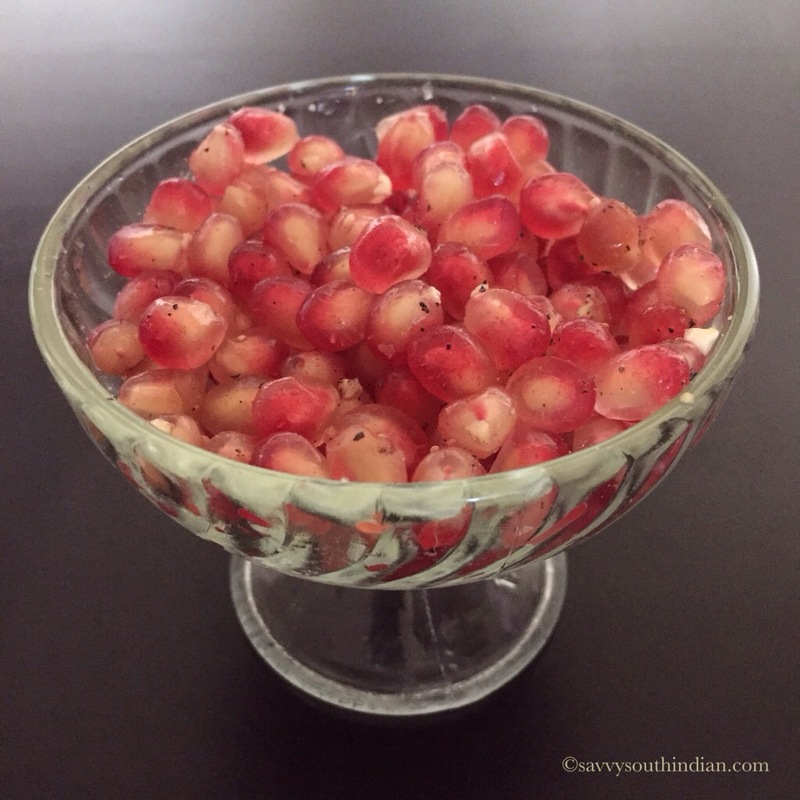 This is my favorite way to eat pomegranates. Ta da! you have a simply special salad to go with your Thanks Giving meal which is light and refreshing. 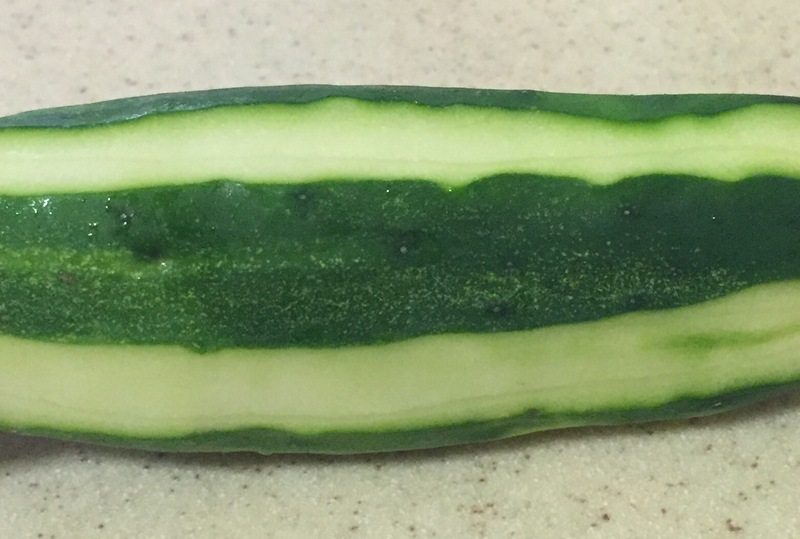 Now comes the good old cucumber. I particularly like the Kirby cucumber which is used for pickles. They have this amazing crunch which is so satisfying. 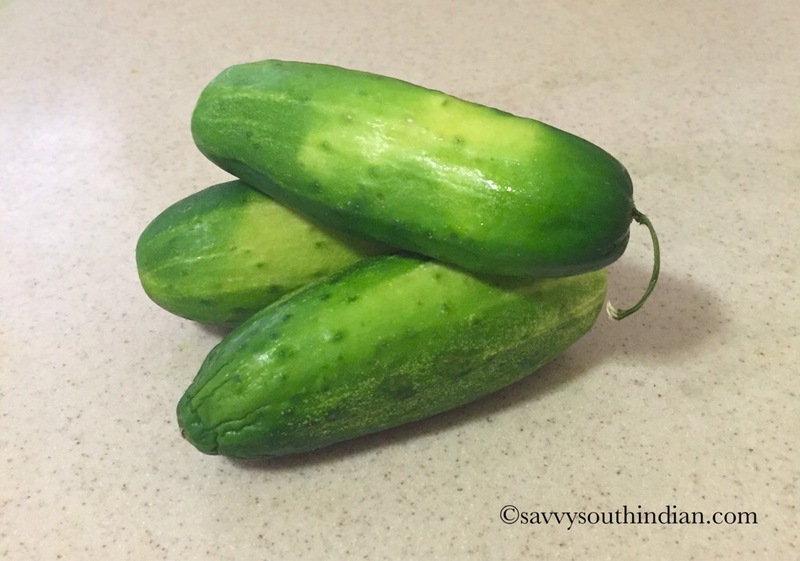 When you slice them don’t peel off all the skin instead leave a little strip and cut them diagonally which gives this oval shape. Tiny bit of green color here and there makes it look so appealing. Now season it and enjoy ! This is my all time favorite snack. 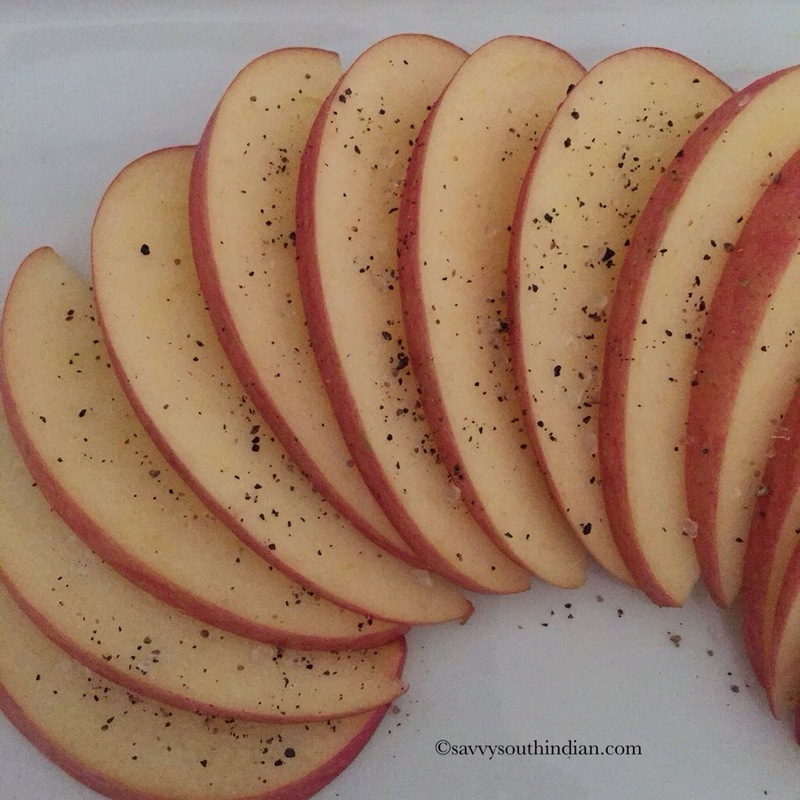 You can try this with thinly sliced Carrots, Tomatoes, Avocados or Radishes. 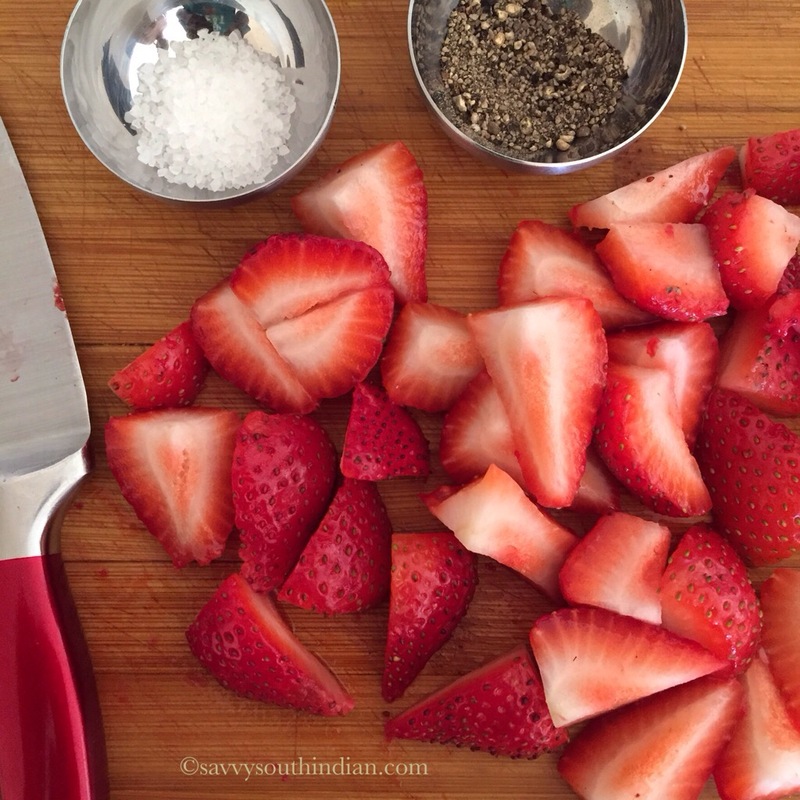 Strawberries are the star of Valentine’s Day, They have this beautiful heart shape even when you slice them. No wonder they are called the love fruit, Couples adore them and exchange them as gifts to express their love for each other. Who doesn’t love to get a box of Chocolate dipped strawberries from their loved ones. 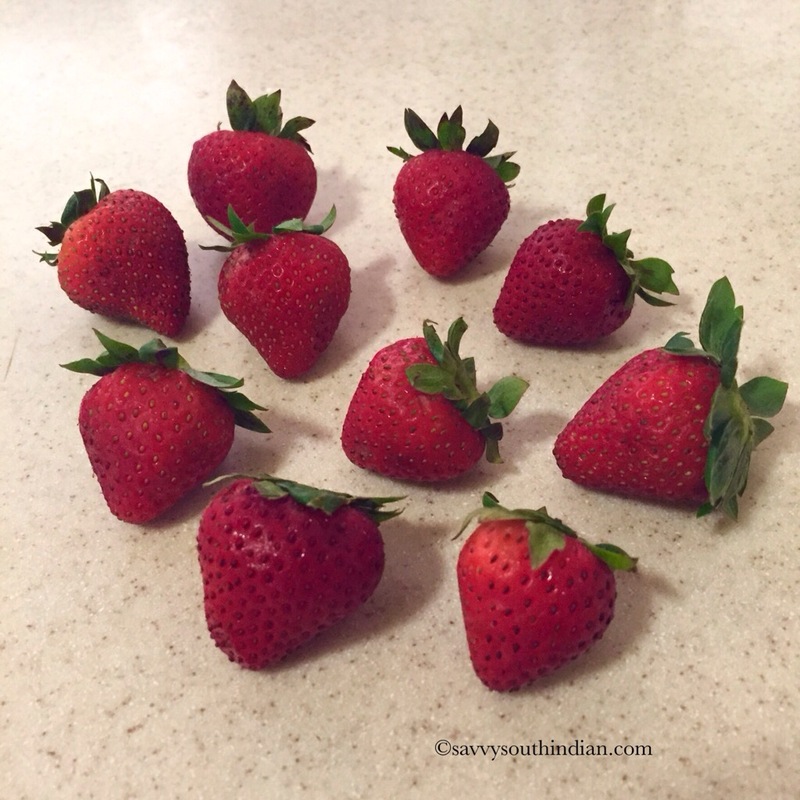 Look at these baby strawberries, Adorable! My kids love them. Every year they go on a school trip to the nearest farm for strawberry picking. They bring back a crate full of strawberries and we eat them to our heart’s content. 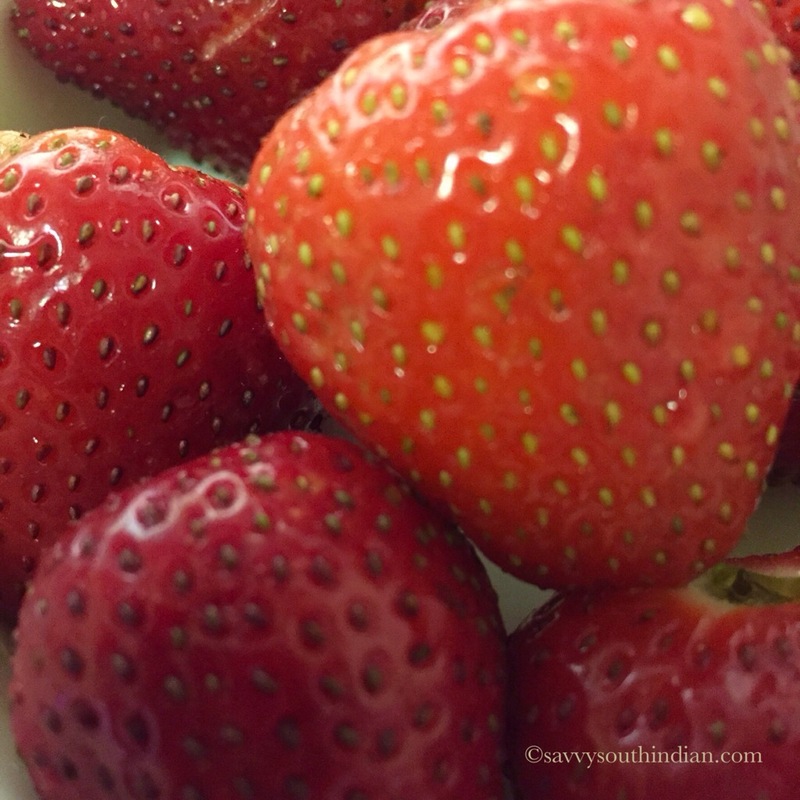 If you want your strawberries to last longer, remove the leaves the minute you bring them home and store it in the dedicated fruit drawer in your fridge. 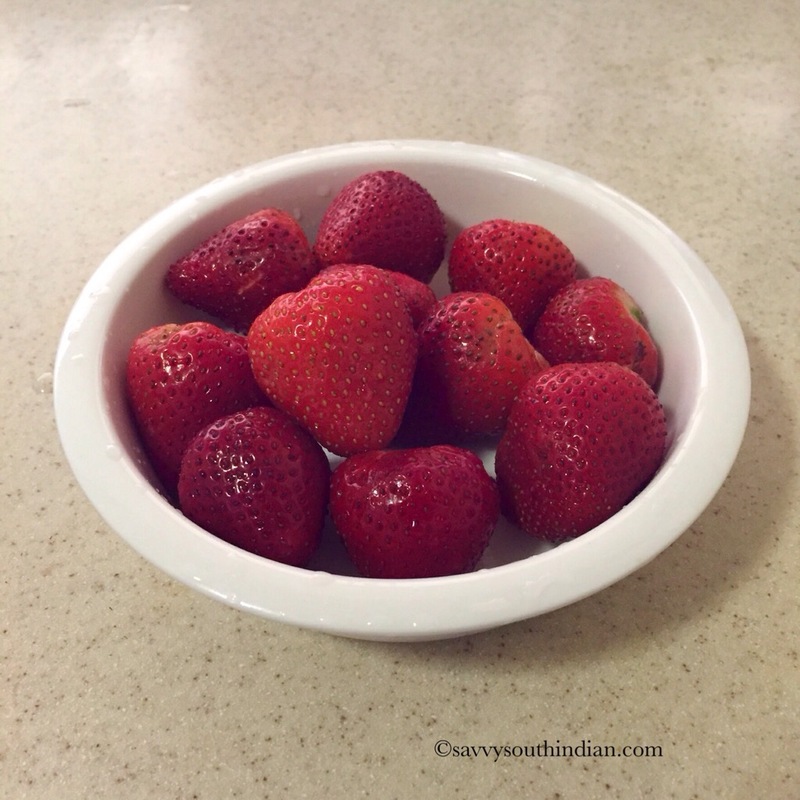 Look how colorful and shiny these strawberries are.. I made sure to capture this beauty in a picture to cherish it all year long. We earthlings should take a minute to adore nature’s abundant gift to us and we must learn to savor them instead of gobbling them in a rush. Strawberries are very delicate so handle them with care. The best way to wash them is to fill a big bowl with cold water and gently scrub them with your fingers and pat them dry in a kitchen towel. Eat them as whole or slice them, Either way it tastes delicious. Before we season this, let me tell you a little bit about salt. There are so many varieties of salt each one has a very distinctive taste. Sea salt is the most natural form of salt used in cooking , it is considered the best salt and has the rough crystal shape. Flaked salt is sprinkled on top of pastries, caramel squares and chocolates. Which is very light in texture. 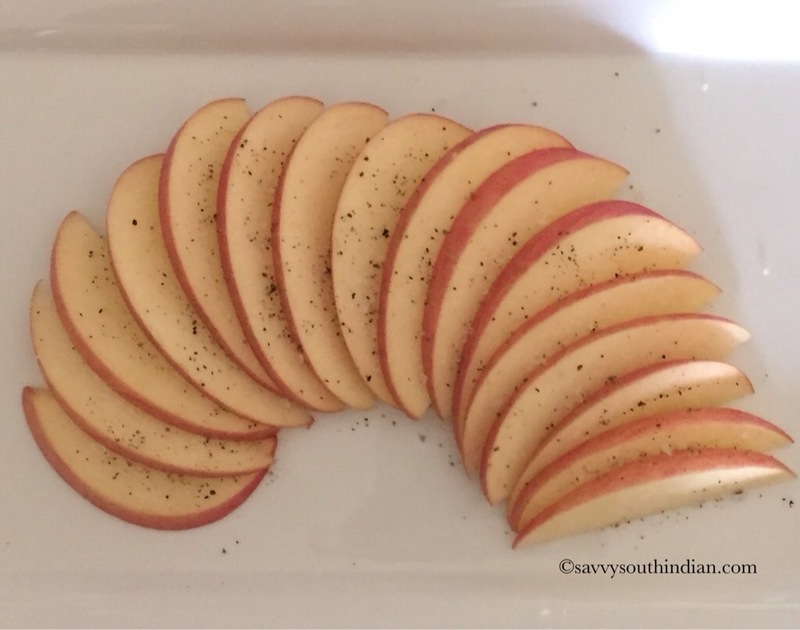 Then there are Smoked salt, Black salt and Himalayan pink salt which adds depth to your salad dressing. 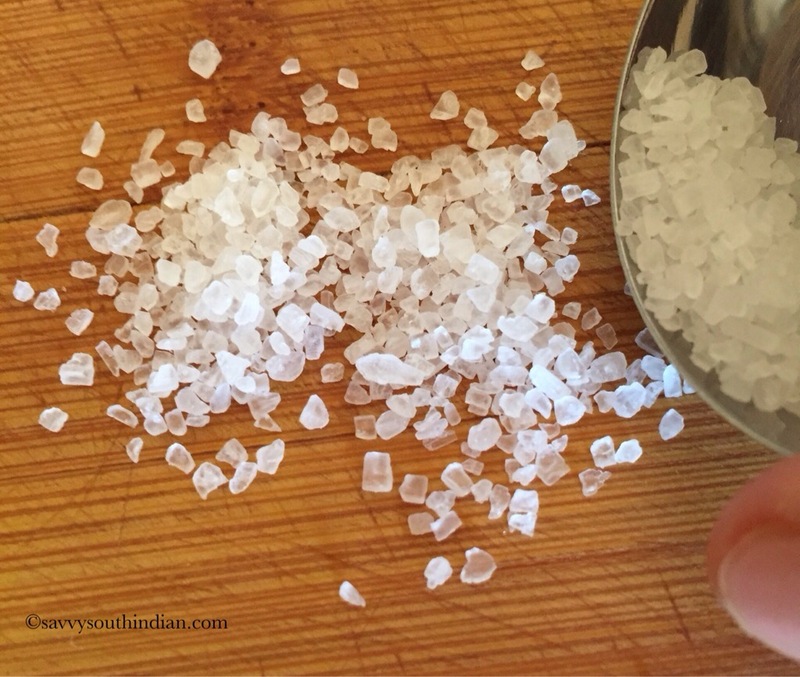 I particularly like this crystalline sea salt, let me tell you why ? 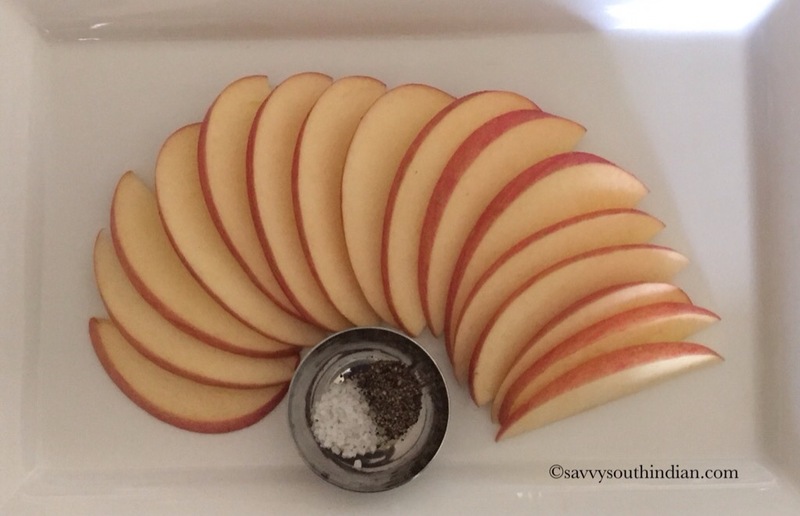 the crystals have a smooth texture, It doesn’t dissolve that quickly so it doesn’t water down your fruits and veggies and you get a salty crunch here and there, without overpowering the fruit. 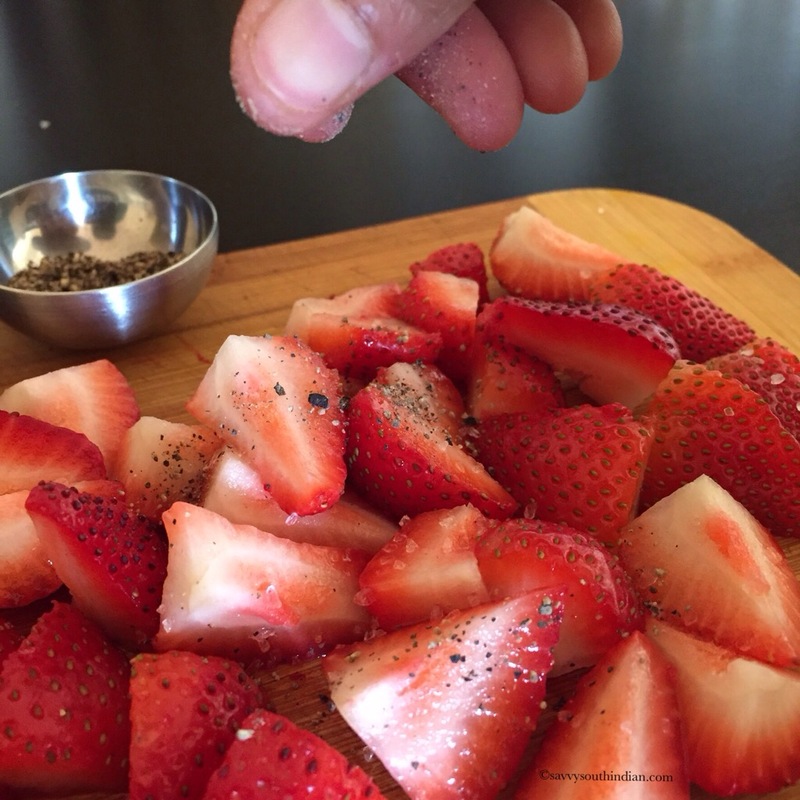 And a dash of fresh ground pepper, this makes a humungous difference in taste. And enjoy ..This is going to be one awesome experience for your taste buds ! The fruit which still reigns at top of the chart is the one and only Apple. The infamous apple which tempted Eve. The apple which keeps the doctor away. Apple, which is every amateur artist’s first model. Needless to say, Apple is the favorite fruit of all. 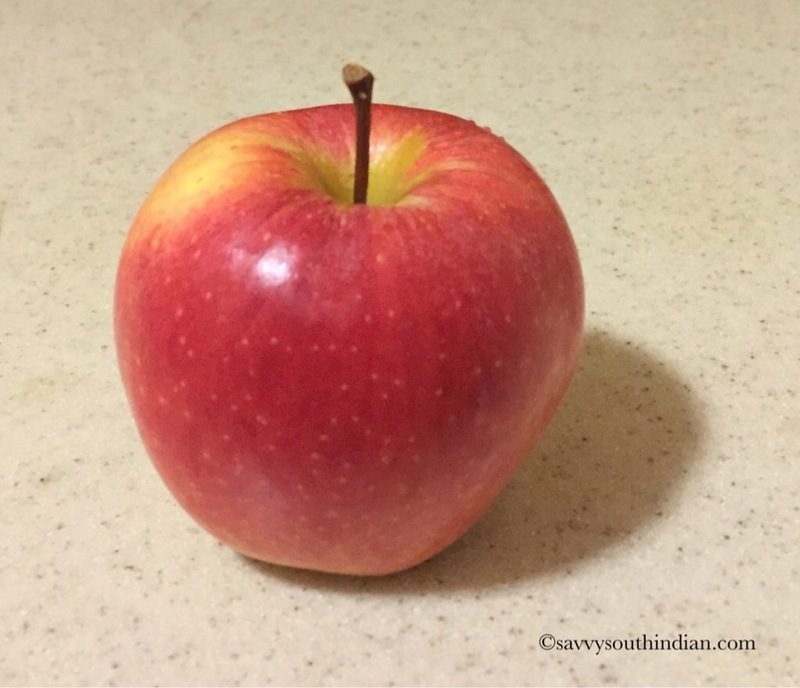 Apples are given as gifts to teachers in appreciation of their hard work. Students bring apples in many different forms…. Some bring fresh apples, Candy apple, ceramic apple, hand drawn picture of an apple. 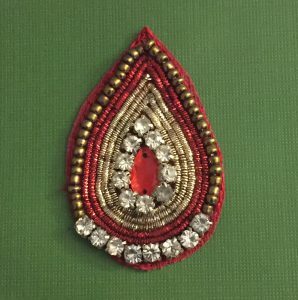 Jeweled apple brooches.. etc. Teachers cherish them since it makes them feel loved, respected and rewarded. 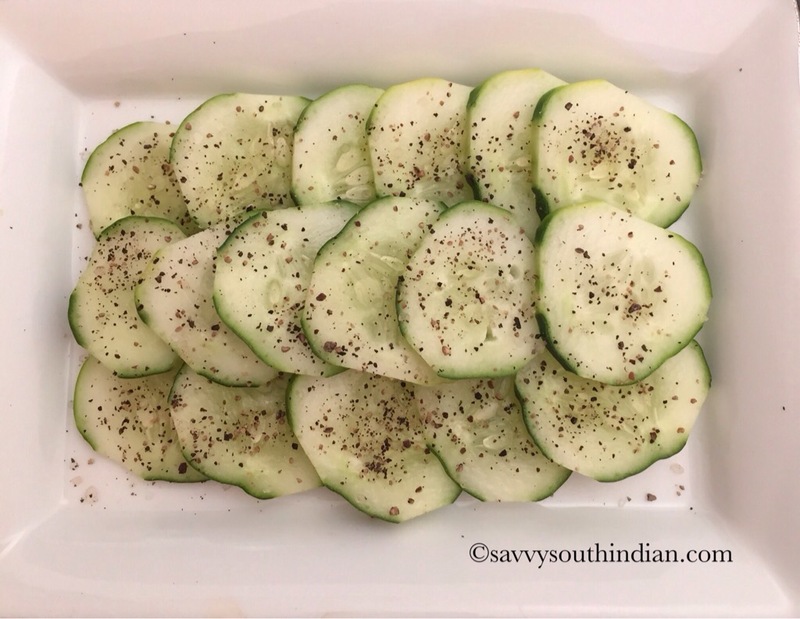 I like to cut them into thin slices, Spread them across the plate like a fan, season it with crystal salt and cracked pepper and serve it to my family or guests after a big lunch. Who needs desserts? 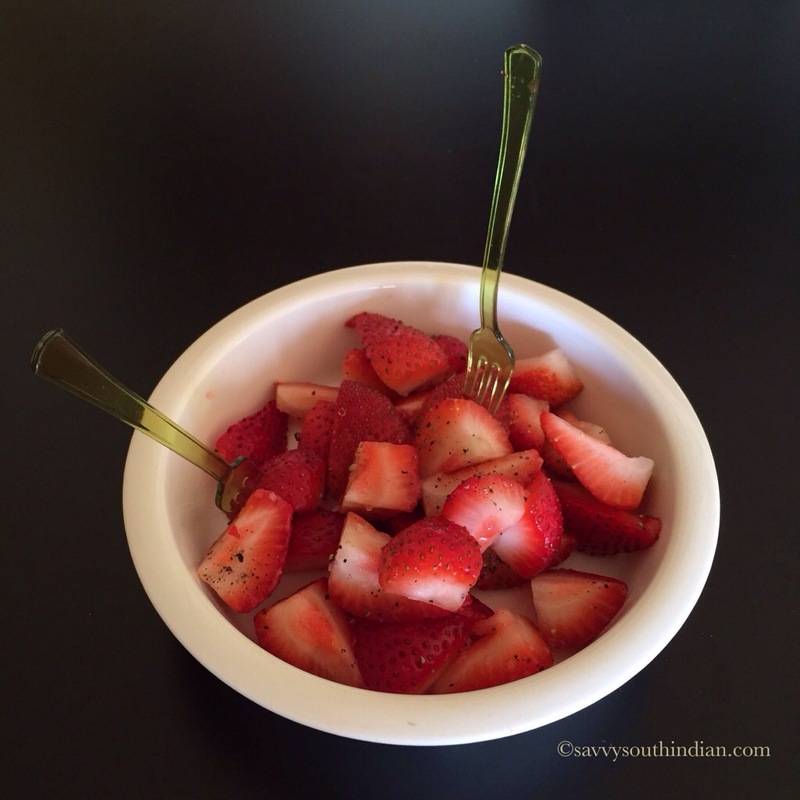 if you have sweet juicy fruits! A study says many of us don’t eat fruits because we are too lazy to wash and cut them. The reason we all are drawn towards fresh cut fruits in a salad bar or a buffet is only because they are washed, cut and ready to eat. 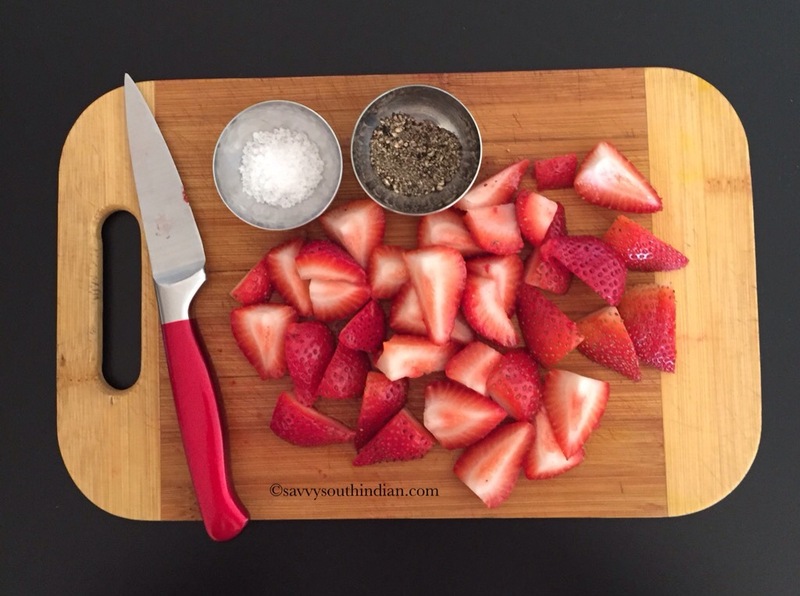 So always take time to cut the fruits and present them in a appealing way. It encourages you to eat more fruits and veggies. 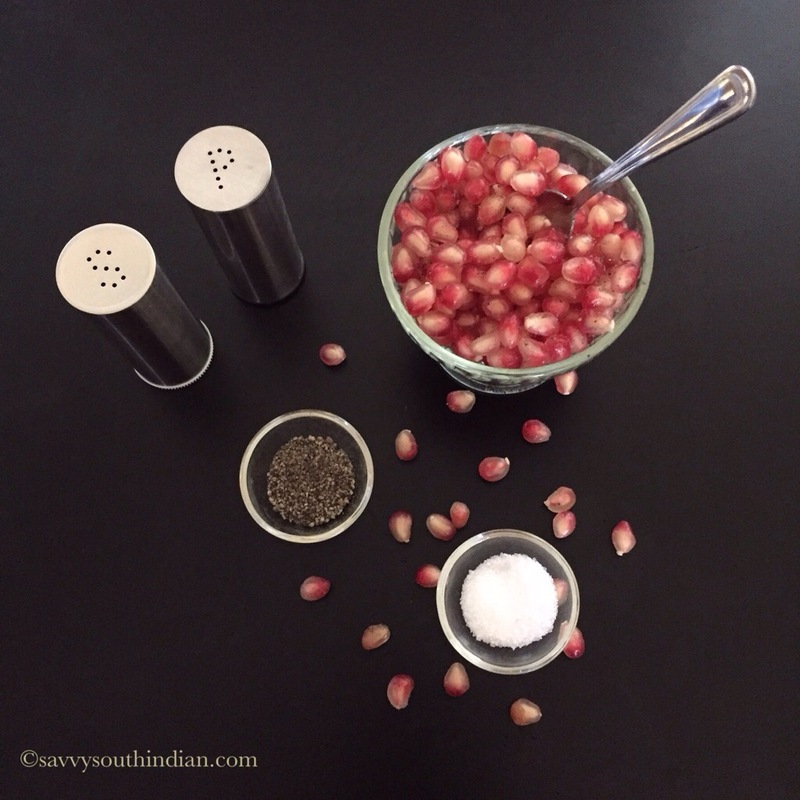 Cherish your salt and pepper, they are the Yin and Yang of all the condiments. Even though they are totally opposite in nature they tend to compliment each other very well. This applies to every single couple on earth, remember you are meant be soul mates. 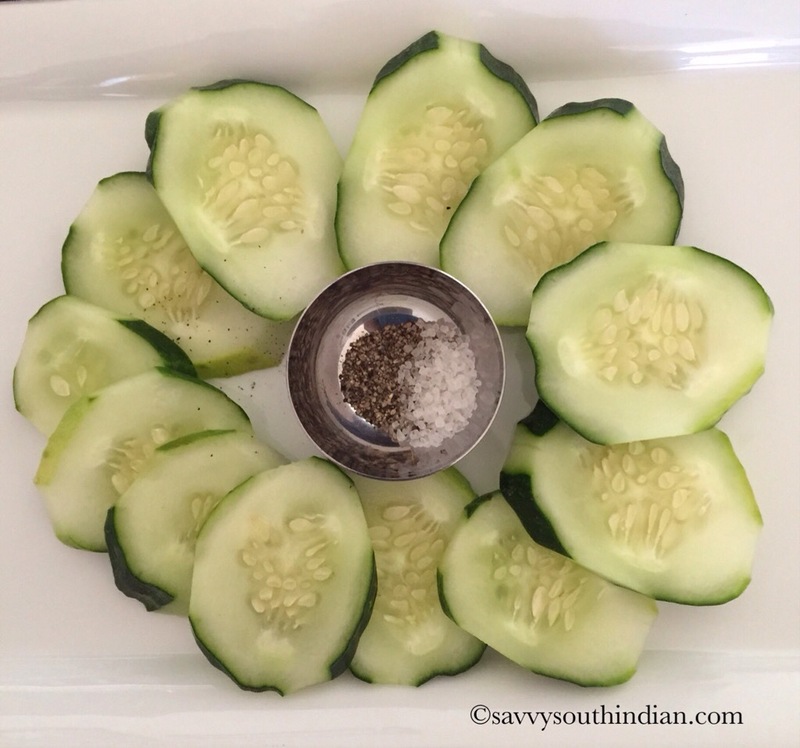 I love cucumber salad.. I make it regularly..